A private sanctuary on Genesee Mountain is now available to become your exclusive preserve of abundant wildlife (including turkeys, elk, deer, and fox), healthy mature forest, and scenic landscapes. Wow! 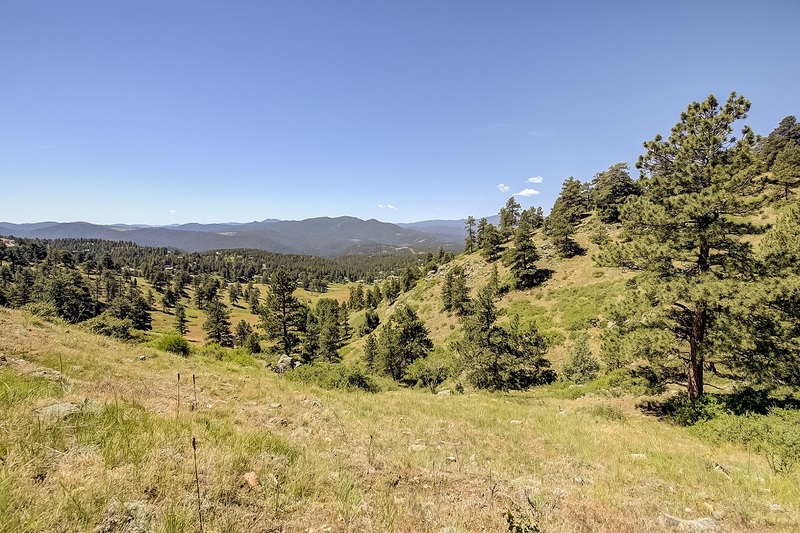 Treasured by multiple generations within one family, this select parcel offers 151+/- acres of great topographical diversity which has been painstakingly maintained to park-like aesthetics for decades. Choose from open meadows, gently sloping hills, the crest of dramatic rock outcroppings, or the pinnacle point featuring 280 degree views as possible locations on which to situate your estate home. Snow-capped displays of the Arapahoe Mountain range and Mount Evans provide picture postcard views of the majesty of Colorado by day, while at night you’ll enjoy the sparkle of Denver City lights. Secluded and private, yet 1 hour to world class skiing and less than 30 min. to Downtown Denver with easy year round access. Call today for a private tour. No entry allowed without appointment.